The following content is created in consultation with Blue Coat. It does not reflect the work or opinions of NBC Washington's editorial staff. To learn more about Blue Coat, click here. How is your agency managing today’s cyber risks? Visit “Agency Cyber Threats: a Proactive Shift” to hear from executives from the Department of State, Department of Commerce, National Oceanic and Atmospheric Administration and Blue Coat on identifying critical issues -- and their solutions. 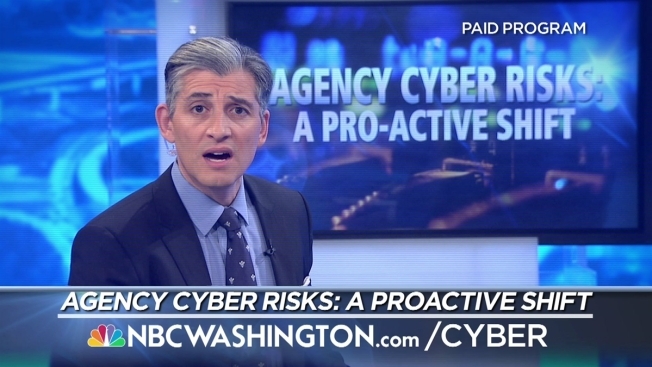 Click here to watch “Agency Cyber Threats: a Proactive Shift”. Blue Coat’s security approach offers an enhanced enterprise level cyber security platform to support federal agencies’ single security architecture while enabling new application and mission objectives.